The BABOK talk: The Core Concept Model, why include it? The BABOK talk: The Core Concept Model why is it used? What the heck is the core concept model? Why did they include it in version 3 as the basis for all BA tasks. The core concept model is the way to look at all BA work, and all knowledge areas and tasks in the BABOK. It is the simplest way to think about everything we do and how we do it, in order to frame how to think about our work and how to think about what tasks or knowledge areas we need to use in a given context. How to move your career forward: mentors and mentorship What does it mean to have a mentor? What are the benefits of having a mentor? The mentor, mentee relationship is a very unique one, and in this episode we will explore that relationship and how your career can benefit from being in a mentorship relationship. The BABOK talk: Are the tasks and knowledge areas in order? The BABOK talk: Are the tasks and knowledge areas in order? The answer is no! The knowledge areas are intended to be a collection of tasks that are related. It is my experience that related for the BABOK means they have similar inputs, outputs, or the tasks of a knowledge area might be related in that they could be done in sequence, but do not need to be done in sequence. In this episode we dive into the confusion people often experience about the organization of the BABOK. The BABOK Talk: The first episode, what is a Business Analyst?? ?😁 This show will be about the many challenges people have with reading the BABOK and how to resolve them, so that reading the BABOK and studying for a certification is an enjoyable experience. On this journey we will really look at how The Guide to the Business Analysis Body of Knowledge is in alignment with how all great BAs think and act!😁 In this episode we will be discussing the definition of a Business Analyst. Lead with value not technology. In this episode we dive into how to use technology to provide more value to the customer, rather than creating more waste or more tasks for the customer to do that they do not want to pay for. Want to know more about Being a Biz Analyst check out my YouTube channel with the same name. How to move your career forward: Teach first! 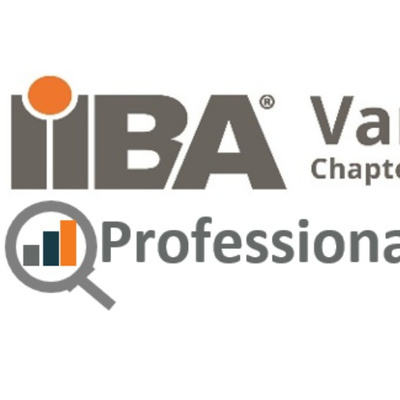 Biz Analyst Analysis Moments on finding the perfect fit for your first position in Business Analysis is all about validation of your perfect fit between ideal position, ideal company, and qualifications, and the rest of your life. So asking yourself the tough questions that focus on taking a step back, and looking at your career as one component of a larger system, which you call your life. Making sure that from an overall, or holistic point of view, is your perfect fit of a career as a Business Analyst actually going to work with the rest of your life. See previous episodes from this week for Biz Analyst Biz Analyst Planning Moment on Monday's episode: Looked at what do you want to do to move towards a career change to Business Analysis on a daily, weekly, monthly, and annual basis. Biz Analyst Potential Moment on Tuesday's episode. Looked at what from planning moment are you actually going to do! 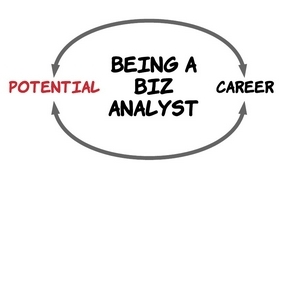 Being a Biz Analyst Biz Analyst Potential to Biz Analyst Career!!! Cover letters with a story to go from Biz Analyst Potential to Biz Analyst Career! Networking through authenticity to go from Biz Analyst Potential to Biz Analyst Career!